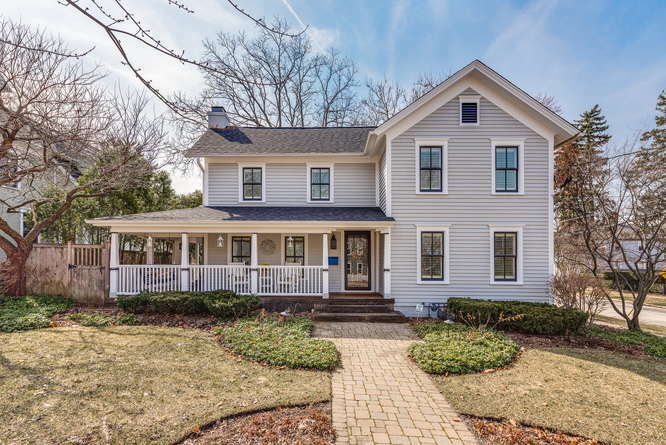 Completely updated Barrington Village Farmhouse with 3 bedrooms, 3 full bathrooms, a versatile bonus room above the garage and amazing outdoor space. 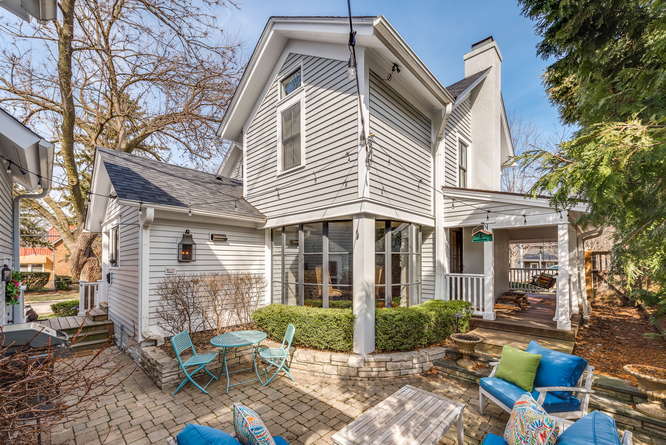 You will be welcomed by the charming wrap around hardwood front porch and impressed as you enter this charming home. 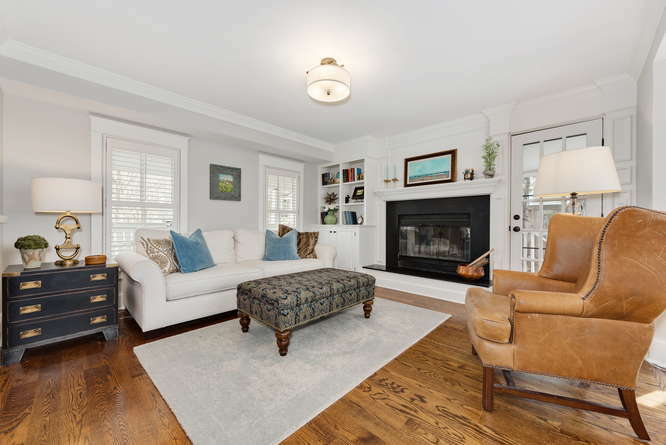 The bright and spacious interior is all tastefully updated with gleaming hardwood floors throughout, detailed millwork, custom LED light features and plantation shutters. 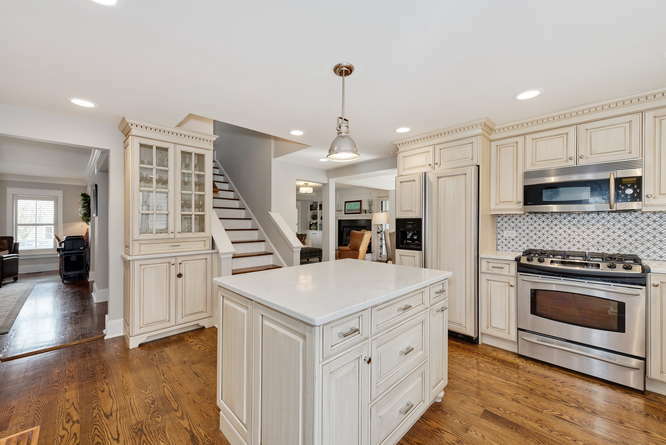 The kitchen features quartz countertops, marble backsplash and all high end stainless steel appliances. 3 good sized bedrooms upstairs with remodeled master bath and second full bathroom. New roof, freshly painted cedar siding and sprinkler system. Custom and immaculate garage with epoxy floor, heat/AC with massive bonus room above, perfect as a recreation room for the kids or a home office. 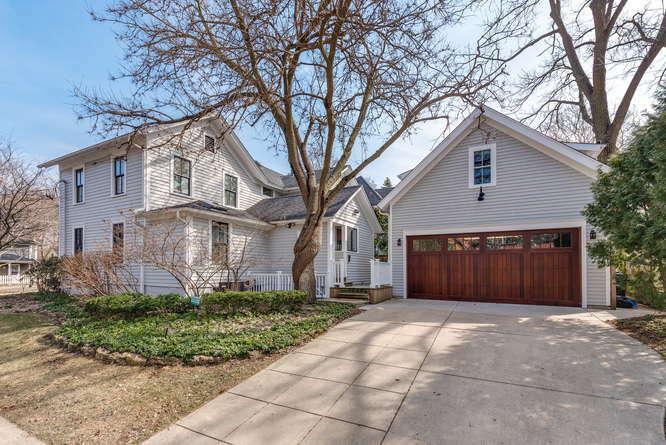 This amazing home is just a few blocks from the heart of Barrington Village with shopping, restaurants, coffee shops and the Barrington Metra station. This home is a must see! 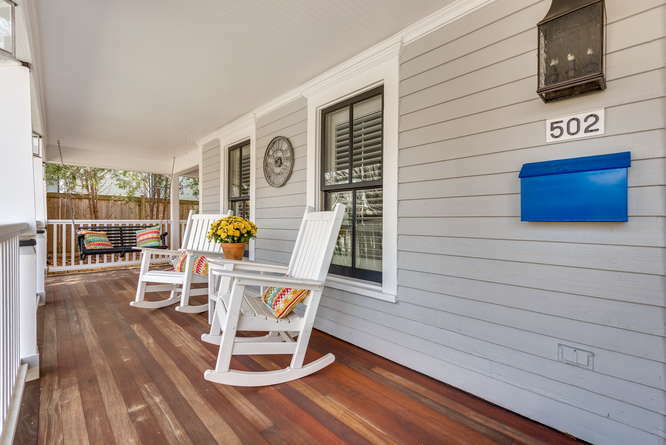 Hardwood porch wraps around the front and side of the home, a wonderful place to relax. Recently sanded and refinished. 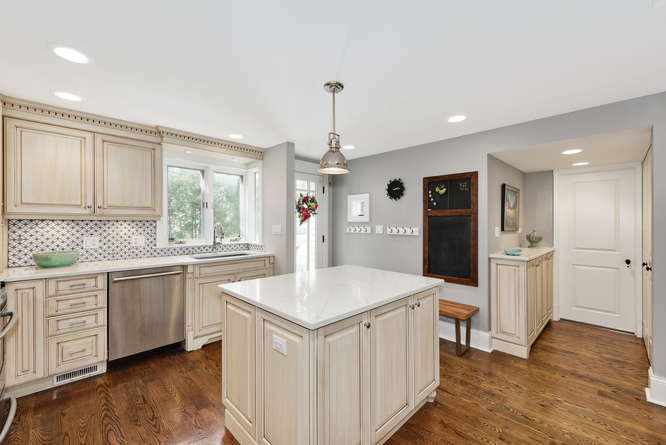 Updated and highly versatile kitchen with island with quartz countertop, built in refrigerator and china cabinet. Lots of natural light from the large window. 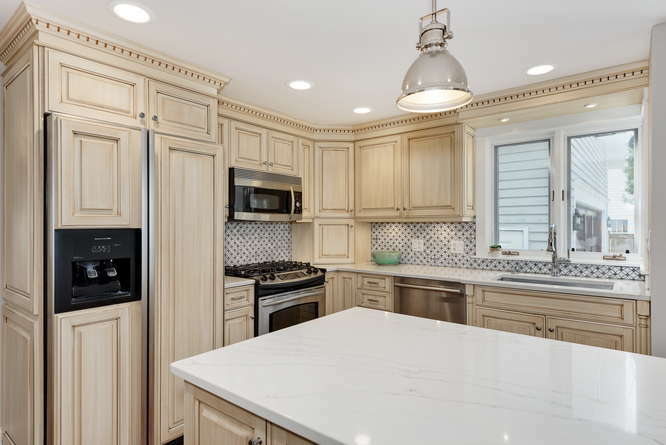 Custom wood cabinets and marble backsplash. 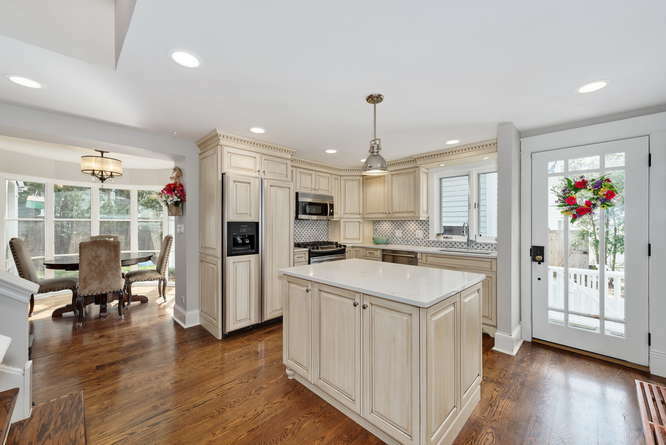 All high end stainless steel appliances and under cabinet lighting. 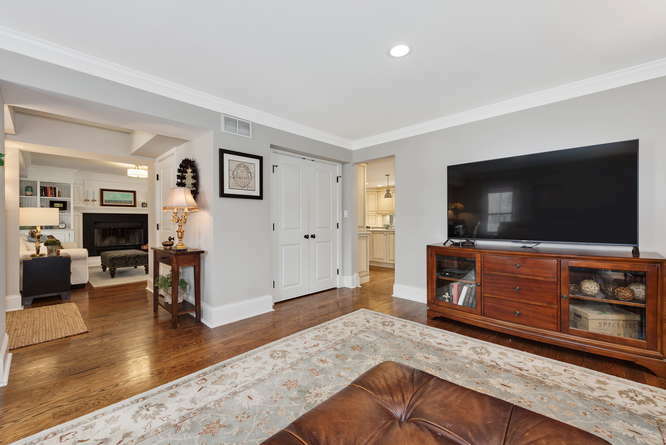 Adjacent to the dining room for easy entertaining. 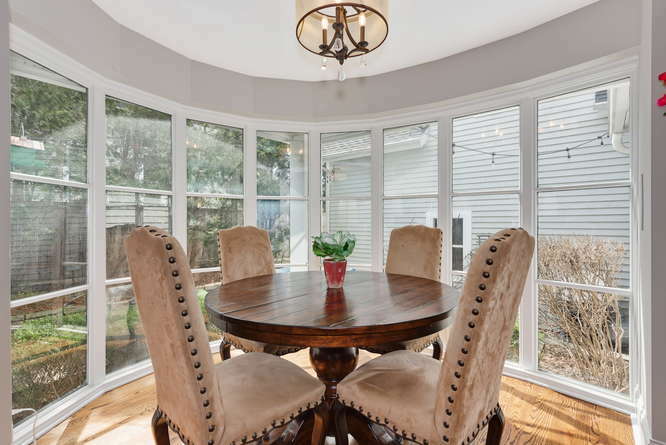 Abundance of natural light from the back courtyard into this charming dining area. 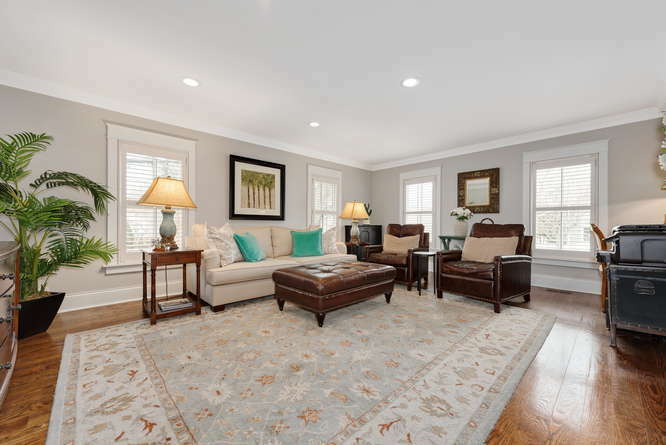 This bright and comfortable room is situated adjacent to the dining room. 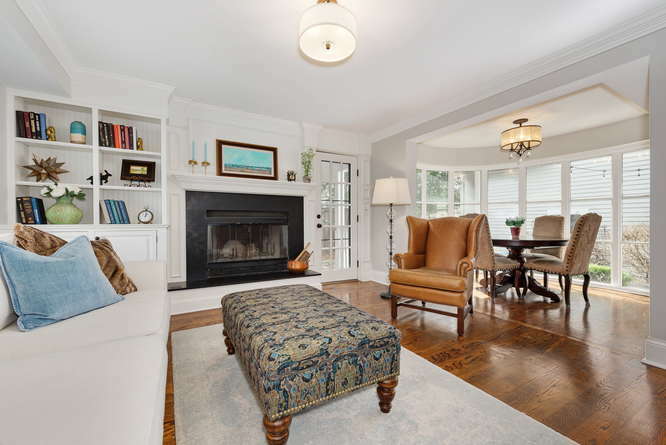 Beautifully appointed with gleaming hardwood floors, crown molding and plantation shutters. Wood burning fireplace with granite and wood mantel and built in bookcase. Natural light from the adjacent dining room, front windows and door to the wrap around patio. 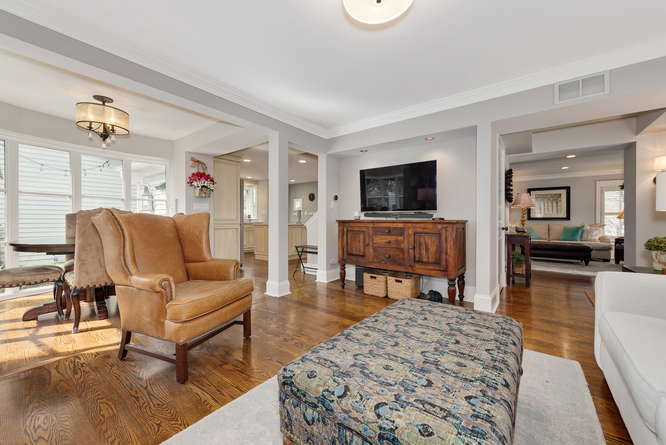 Bright and spacious living space located across the foyer from the family room. 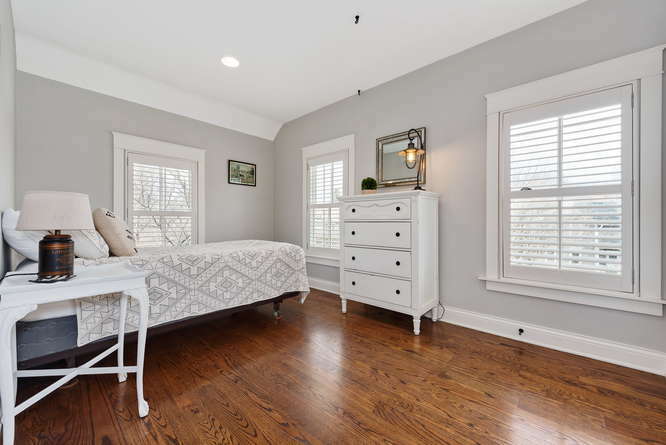 This room features hardwood floors, crown molding with 4 big windows with plantation shutters. 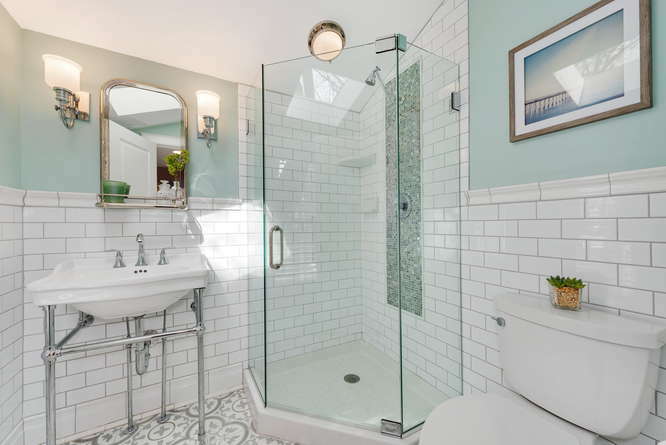 Beautifully updated bathroom with shower on the main level, featuring detailed tile work and heated floor. Spacious and comfortable master suite with hardwood floors, ceiling fan, plantation shutters, ceiling fan, 2 big closets and arched ceiling. 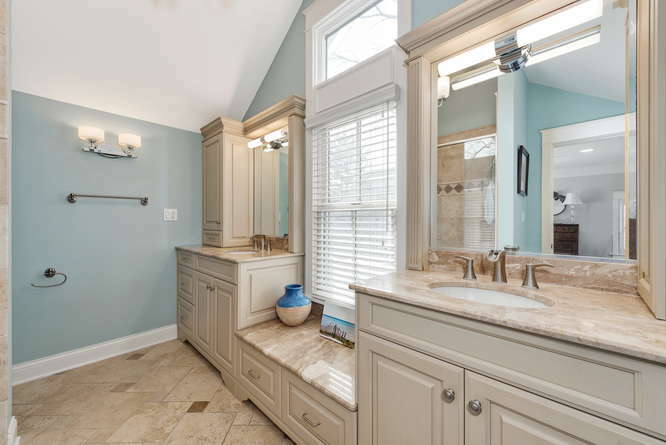 Roman style master bathroom with travertine tile, dual vanities with granite countertops and 2 built in cabinets. Great natural light from the large window and vaulted ceiling. 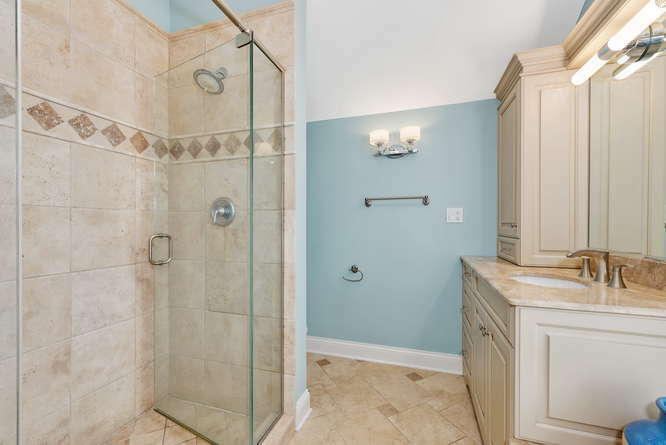 Beautiful shower with travertine tile – wonderful oasis after a long day. 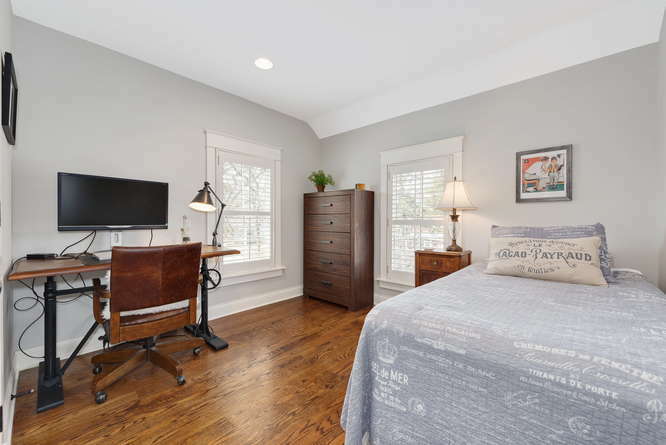 Cute 2nd bedroom with a hardwood floor, plantation shutters, arched ceiling and good closet space. 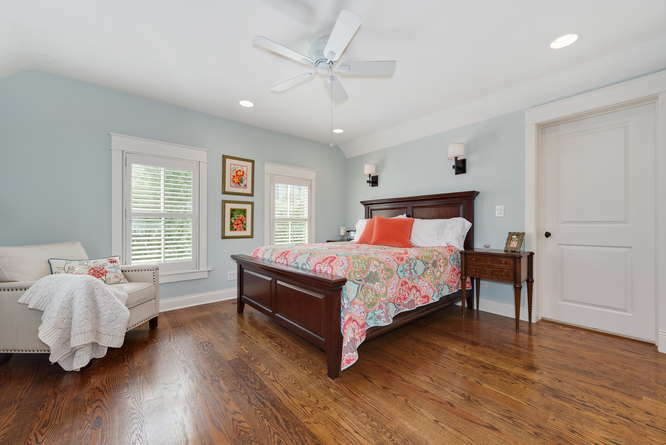 The 3rd bedroom also features a hardwood floor, plantation shutters, arched ceiling and good closet space. 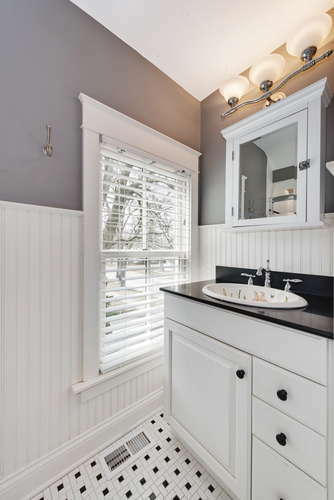 2nd full bathroom on the 2nd level boasts ceramic tile floor, plantation shutters, a tub and shower along with an arched ceiling. 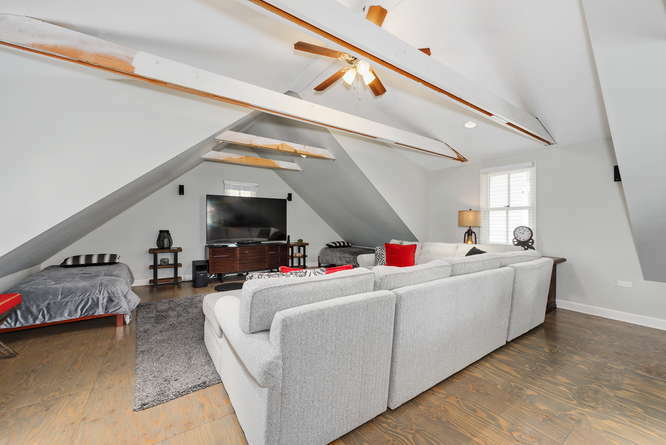 This large and very versatile space above the garage is heated, with a ceiling fan and vaulted ceiling. 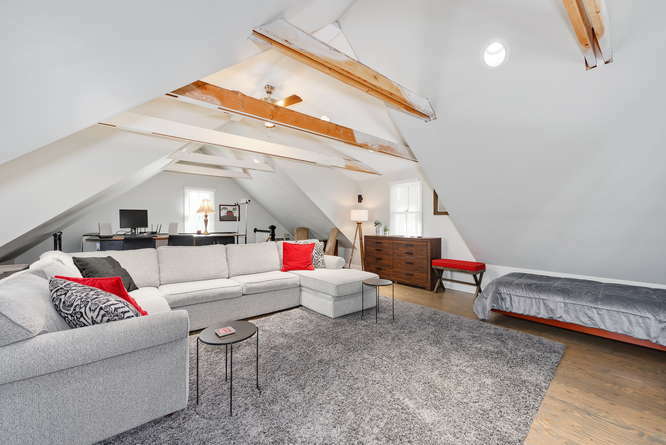 This space is great for a rec room for the kids, a home office or the ultimate media room. 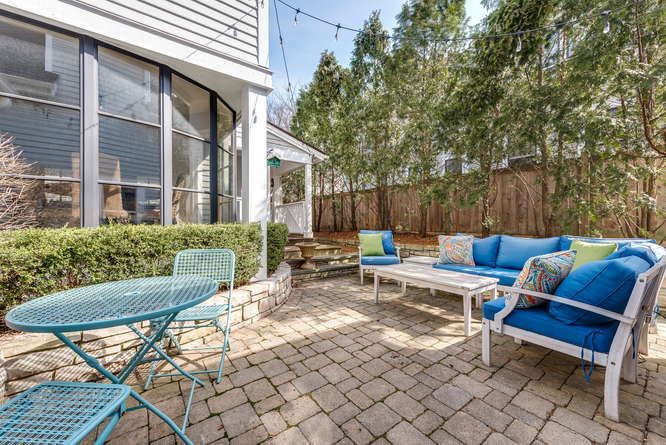 You will love to entertain in this private back courtyard with paver patio and nice lighting. From this angle you can see wrap around porch along the side of the home. Large corner lot with custom garage which is heated, with A/C, epoxy floor and overhead storage. The wood carriage door continues the farmhouse theme.